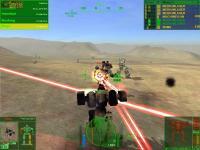 Mechwarrior 4: Mercenaries is a vehicle simulation video game for the PC released in 2002. 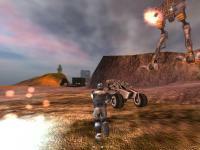 It is a standalone expansion of Mechwarrior 4, based on the Battletech Mechwarrior game universe. It is no longer racing simulation from Electronic Arts. Need for Speed &#8203;&#8203;World has made its appearance last year when the publisher wanted to revive his stalled saga. Playable online only, NFS World, totally free offers to evolve races, won at once nervous and driving power-up properly used. Your worst rival has challenged you on a race to the North Pole on hot air balloon. Equip your balloon and land on randomly generated islands for supplies. Catch the winds and beat your rival!